I am waiting for my train to arrive and then I’m off to Ulsan for the weekend. Getting the train is pretty painless. 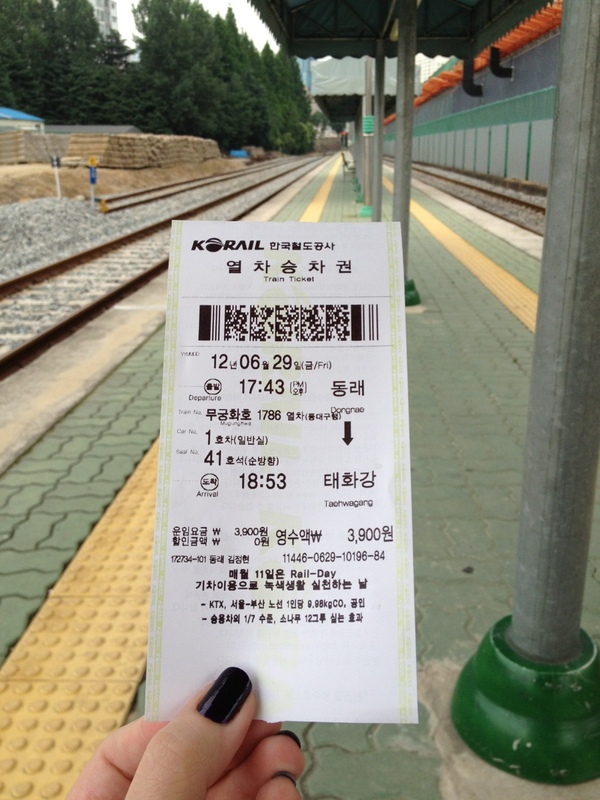 I just have to say the name of my station, pay 3,900 won (about $3.50) and then they issue me a ticket. The tickets are in English and Korean, which is nice. The weather has been pretty good for the past few days, but it’s starting to get humid. Today will probably be the last rain free day we have for a while.